I don’t know who was more surprised that they were getting their hair washed – Rider or Knox! 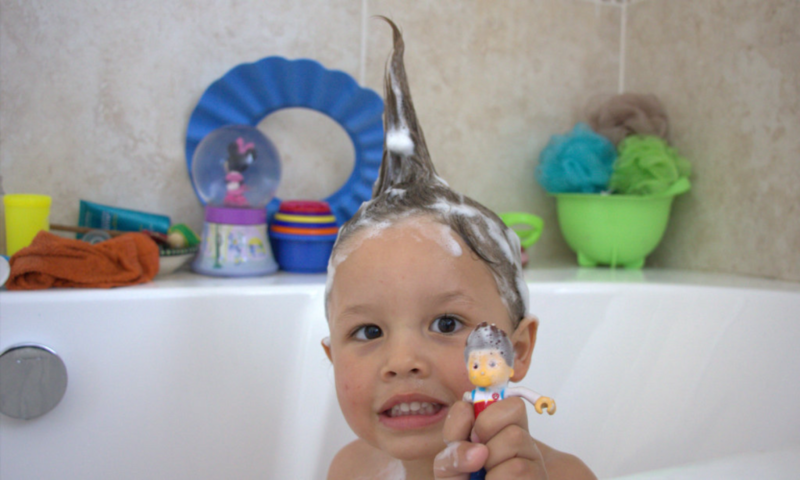 Hair wash day in our house has always been a bit of a thing. Unfortunately for my children, they don’t seem to like getting their faces wet. They aren’t like those kids that laugh when they accidentally get a face full of water. Nope. Not here. If that happens here you better cover your ears otherwise you seriously risk them falling off during the screaming that’s about to ensue. I’m pretty sure it’s the only character trait that all three of my kids have inherited from me. We limit hair wash day to once a week in Winter and around twice a week (or more if necessary in Summer). It just works out better for everyone. Plus I find that their hair doesn’t need to be washed more than that if they use a decent shampoo and conditioner. When we tried out the new Shampoo and Conditioner from Thursday Plantation I was dubious that it would give me the results I wanted. Look, I know that before we had bottles full of chemically produced lotions and potions, people successfully used a variety of oils and natural plants etc to wash their hair. But somehow in my mind even though I know that chemically produced things are worse for me and my body, I still think they’re going to work better. Seth is all about trying to get us to use products that are a lot more focused on being natural and I want to, but I just don’t actually do it. 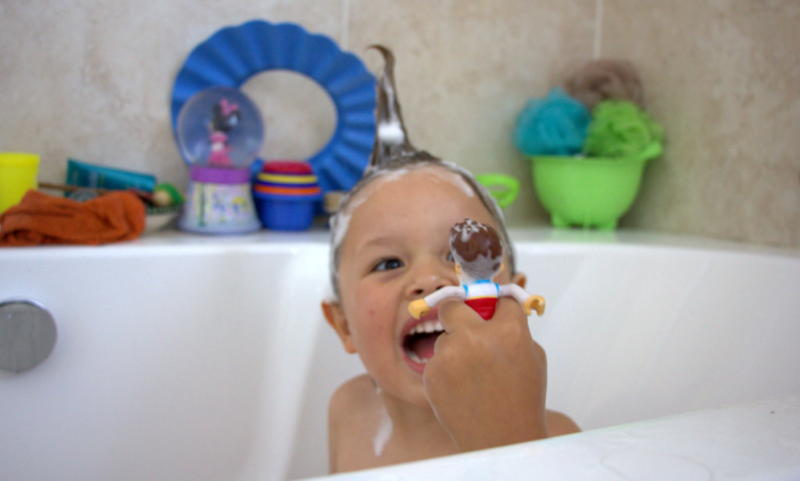 But wow, I don’t think I will ever go back to another shampoo and conditioner for my kids hair! It worked like a dream leaving their hair fresh smelling and easy to brush through. 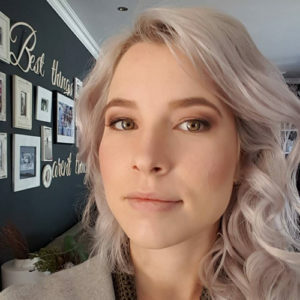 Plus their hair looked so good – lush and healthy which is not how other treatments left it, no matter how much I conditioned it. Knox was a huge fan of the tea tree smell but it’s had to grow on the girls. 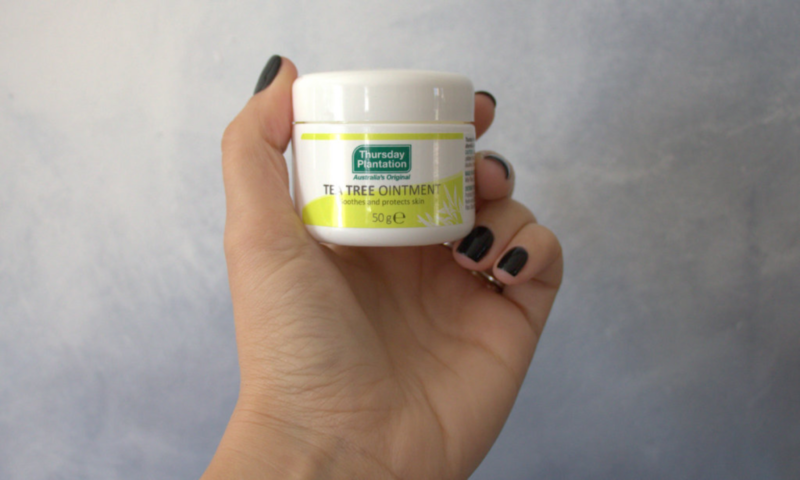 All the Thursday Plantation products contain Australian Tea Tree Oil which is a natural antiseptic. Which naturally lends itself to a hundred other uses aside from the shampoo and conditioner. 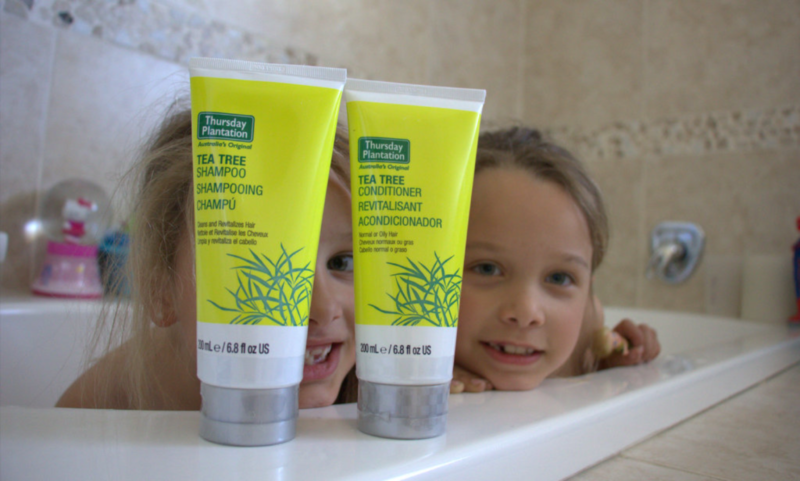 This Thursday Plantation floride free tea tree toothpaste is one of those alternative uses. 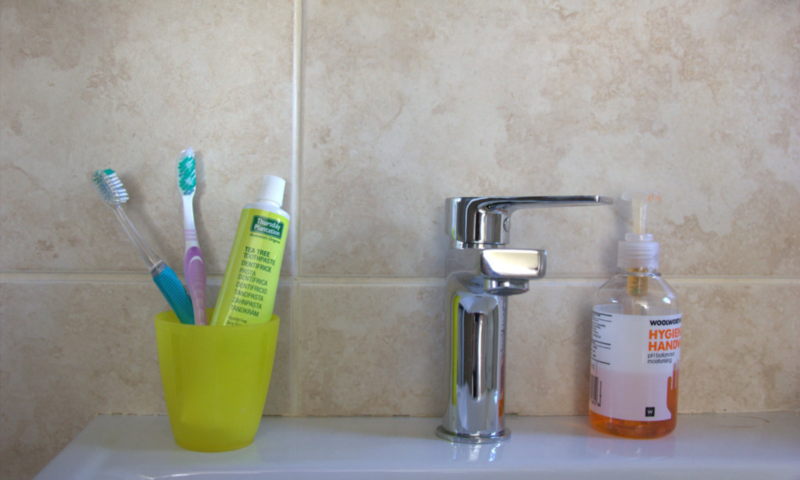 It uses the unique antibacterial power of tea tree oil to keep your teeth, gums and mouth feeling and looking fresh and clean. It also doesn’t contain any sugar. The taste is something I had to get used to as I always think toothpaste is just supposed to taste like mint, but it really did leave my mouth feeling fresh and clean after using it. With three kids in our house we have our fair share of cuts and bruises. Just this weekend, one afternoon of riding bikes left Kyla with this massive roastie on her arm. The fact that it looks like a heart totally did help to ease the pain though haha. 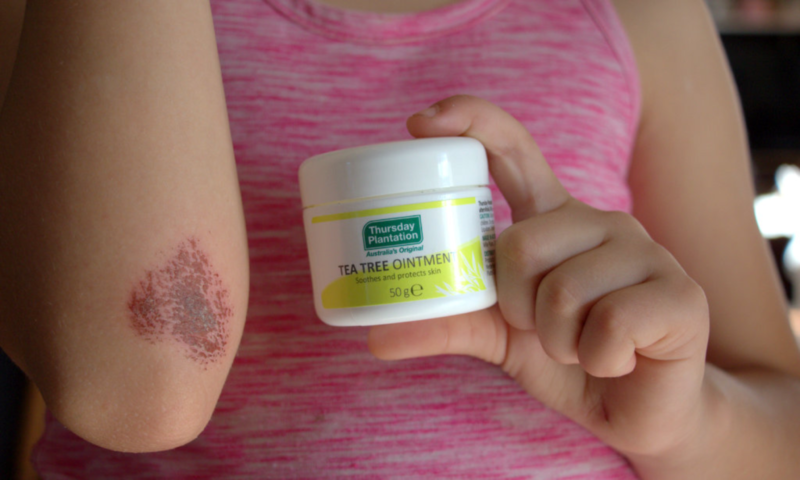 I immediately used the Tea Tree Ointment on it and let the antibacterial qualities that it has do the work. It has since started to heal up quite nicely. I even brought it with us up to Kimberley in case we were bitten by spiders or bugs or whatever. We didn’t need to use it then, but you can use it on minor cuts, abrasions, gravel rash, cracked and dry skin, chapped lips and other minor wounds as it protects the skin from letting dirt and bacteria in. The there is also the actual tea tree oil itself that can literally be used for a million different things. In our house specifically it can assist in keeping our dogs flea and tick free (which will be a huge help when we start going out in the camper and they start playing in the bush). You can also add it to your laundry to keep it smelling fresh and when you pipe it into the garden it will not damage your plants with any chemicals. Then the use that I haven’t gotten a chance to try yet, but desperately need to get cracking on, is using it to clean my make up brushes! You mix 3 drops with about 60ml of water into a spray bottle. Spray onto your brushes a couple times and then brush it off onto a tissue! And viola! It’s clean and free from bacteria. I really need to get on this because the state of my make up brushes right now would make you scream.